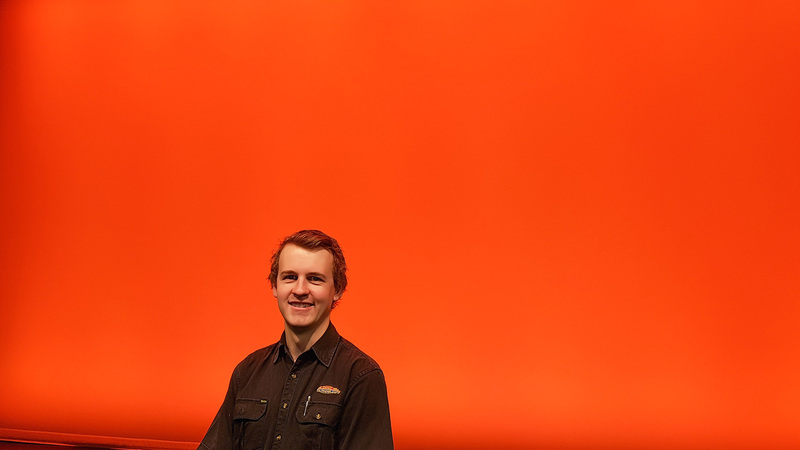 When Ben Hunt, Head of Lighting at the Empire Theatres, Toowoomba, in Queensland first fired up their new Robert Juliat Dalis LED cyclorama lights, his first impression was ‘finally we’ve found something up to the task’. 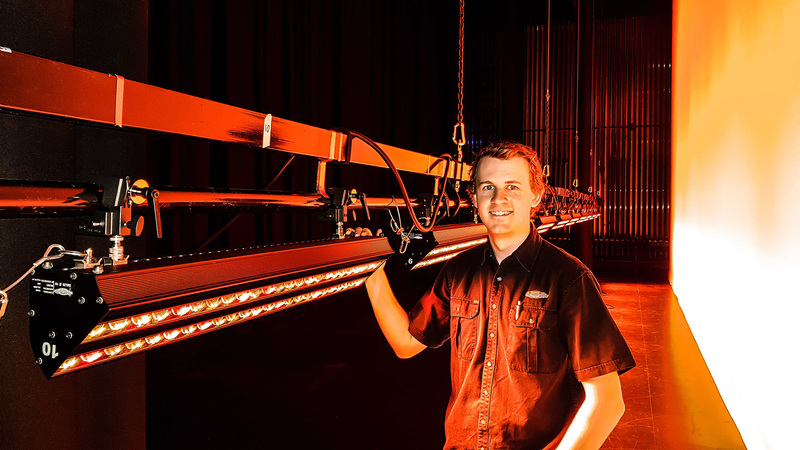 Ben added that the theatre had been looking at the LED cyclorama light market intently for the last few years waiting for the right product to pop up that would allow them to light their cyclorama with a quality light, but also give them ultimate flexibility on how and where they use them in the precinct across their venues. Ben and his team decided to test all possible product contenders onsite so they could properly evaluate them in different usage scenarios and spacing options. According to Ben, the Dalis 860 cyclorama light was the only unit on test at the time of the shootout that could tick every box, a true standout. 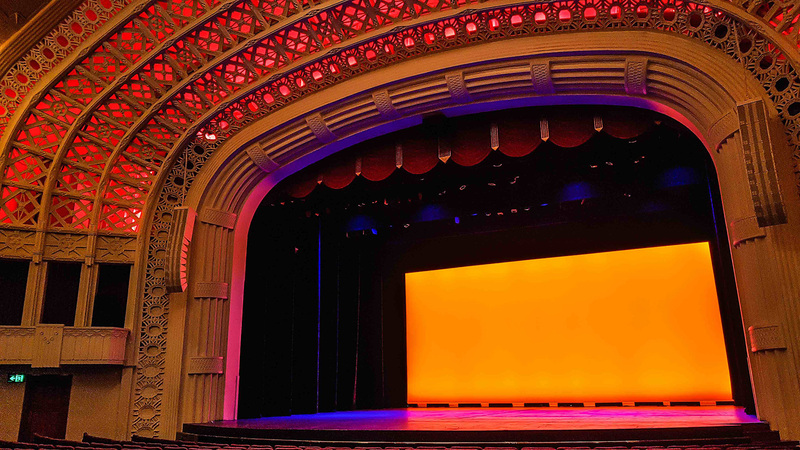 Consequently, the theatre purchased twenty Dalis 860 cyc lights along with clamps cases and cables to suit. The units are configured in ten top cyc and ten ground row as default but can be reduced to eight and eight to allow for other units to be used elsewhere on the precinct. Upon using the new product, Ben was immediately struck by its build quality and ergonomic design. “When you first pick one of these units up, without even having powered them up you can tell that Robert Juliat have really outdone themselves,” he remarked. “It’s the simple things like its footprint in a fly space, its exterior robust construction and its quick release rigging system that makes putting it in varied configurations a breeze. Obviously, its light quality and its eight colour mixing system is impressive, but also take them off the bar and its standalone features allowing you to quickly set a fixed colour temperature and throw the units in for a photoshoot really adds in the units flexibility around the precinct. Designed to deliver powerful, smooth coverage and a huge variety of pastel and saturated colours, the Dalis cyclight offers silent operation which is perfect theatrical applications.